The Brisbane City Council has released the draft Spring Hill Neighbourhood Plan for public consultation. Formal submissions to the draft plan can be made through the Council’s webpage by 5pm 17 June 2016. The draft plan proposes to enable new higher density development in areas close to the Brisbane CBD while increasing heritage protections for some highly valued properties. A feature of the draft is to reinforce Boundary Street as a secondary district centre by establishing Astor Terrace as a focus for activity to service the emerging commercial precinct. Image: Spring Hill in 1882. Source: Queensland State Archives[/caption]Overlooking the city centre and adjacent to Fortitude Valley, Spring Hill is home to vital hospitals and schools, as well as a strong business community that will continue to play an important role as the city grows. Council's City Centre Master Plan 2014 identified a need to optimise the potential of Spring Hill through planning for future growth, while protecting heritage places. The current neighbourhood plan for the area, the Petrie Terrace and Spring Hill Local Plan, was developed more than 28 years ago. 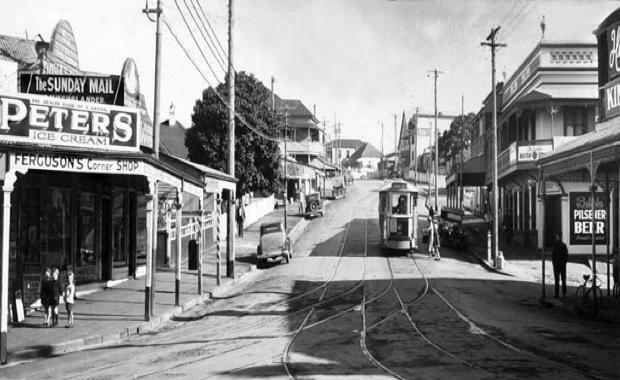 Image: Gregory Terrace, Spring Hill 1954. Source: Queensland State Archives[/caption]The draft neighbourhood plan proposes to add 29 properties to Council’s heritage register. Following consideration of submissions, the adoption of a final Spring Hill Neighbourhood Plan is scheduled for late 2016 / early 2017.